All traditional methods of bra measurement are variations of a scheme that determines cup size by the relationship of the chest circumference around the breasts to its circumference above or below the breasts. Experience has shown this method to be inaccurate. In response to this problem, a new system of bra measurement was developed. 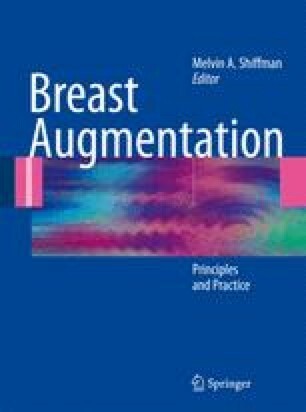 It is a modified version of a previously reported method of bra sizing that determines cup size by direct breast measurement while now allowing for the fact that cup size varies with band size. With this system, brassiere band size is still determined by the industry standard of “underbust chest circumference plus 5,” but cup size is determined by direct measurement of the breast in proportion to underbust circumference. Although some women, for a variety of reasons, choose to wear a bra that does not fit properly by the usual criteria, virtually every woman measured with this system fits well into the bra determined to be her correct size.